DEATH OF FAIR PROBATE FEES? 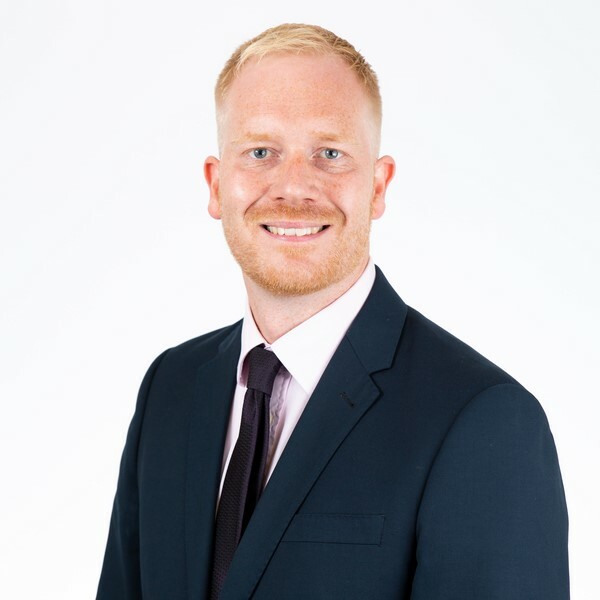 Following on from Government plans to raise probate fees by up to 3,770% in some cases, James Beresford, private wealth partner and probate specialist at commercial law firm BLM, assesses the impact the ‘death tax’ is set to have on grieving families. From April 1st, grieving families are set to face a penalty of up to £6,000 simply to execute the will of a deceased relative. The change follows a controversial Government decision to press ahead with major changes to probate fees, the charge for securing legal control over a deceased person’s estate. There has been an overload of information on the issue, with further clarity on the changes now imperative. Currently, the fee stands at a flat rate of £215, or £155 if estates are settled through a solicitor – often covered by the solicitor’s firm. As of next month, that will change to a complex six-band probate fee structure based upon the estate’s value. Those with estates worth between £50,000 and £300,000 will pay £250, and those with estates worth £500,000 to £1m will pay £2,500. Estates worth over £2m are set to face the maximum of £6,000, a 3,770% increase on the current lowest cost. When analysed critically, the illogical nature of the banded approach is evident – the cost to the courts for processing an application does not change whether an estate is worth £10,000 or £10m. There are no added complexities, and it requires no higher level of skill to execute. It is being done solely in the monetary interests of the courts and tribunal service – with the bereaved and grieving expected to fund other financial shortfalls. Justice minister Lucy Frazer claimed the rise to be “progressive”, citing that extra charges on grieving families will alleviate other financial pressures facing the courts; the hike is predicted to raise an extra £185m a year for the Ministry of Justice (MoJ) by 2022/23. Not only has the sheer scale of the price hike been met with intense backlash, but the way it is being implemented has been subject to intense criticism. There has been a concerning lack of clarity, which is already inflicting damage on the inheritance sector. Initially, ministers asserted the probate charge was still a ‘fee’, despite it clearly equating to a tax. It seems highly probable this was done intentionally to attract less scrutiny, as a fee can be passed more easily in parliament than a tax. For this reason, many of the fee’s detractors, including the Law Society of England and Wales, have branded the plans a ‘stealth tax’. Adding further confusion to the mix, numerous arms of Government have aired criticisms on the overhaul. The Office for Budget Responsibility said it expects the new fee structure to be classified as a ‘tax’, despite ministers already rejecting this assertion. This shambolic process and mixed messaging is causing immediate and long-term problems for solicitors, with little consensus on what is set to happen on April 1st. In the current system, it is the norm for solicitors to simply absorb probate fee costs as they are nominal – this is highly unlikely to continue going forward, given the significant increase to fees. The immediate impact of this has been a rush of executors and bereaved families attempting to settle estates prior to the overhaul, likely doing so with little careful consideration. Once changes go through, fees will be calculated on the new banded system regardless of the date of death. With the Labour Party now announcing that it intends to formally object the overhaul in its current state, it remains unclear as to whether or not changes will come into effect on the stated date, or at all. From start-to-finish, the process has been unclear and crucially damaging to not only solicitors, but on grieving families themselves – who are set to pay the highest cost, fiscally and emotionally.